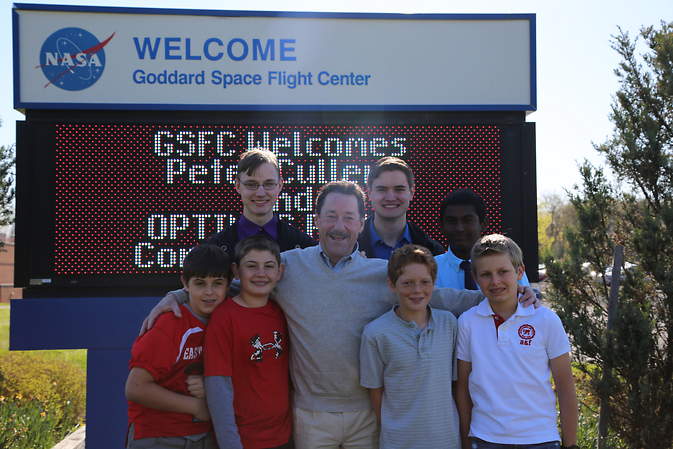 As students prepare to return to school for the 2014-2015 academic year, the Innovative Technology Partnerships Office at NASA’s Goddard Space Flight Center in Greenbelt, Maryland is pleased to announce educational scholarships for top-placing students in NASA’s most recent OPTIMUS PRIME Spinoff Video Contest. The scholarships for the first, second and third place winners in each age category (elementary, middle school and high school) are being sponsored by the American Society of Mechanical Engineers (ASME) Foundation and may be used to support current and future educational pursuits. The NASA OPTIMUS PRIME Spinoff Video Contest challenged students to submit videos describing their favorite NASA spinoff. Spinoffs are technologies originally created for space and modified into everyday products used on Earth. Examples include items such as memory foam, invisible braces and scratch-resistant lenses for eyeglasses. OPTIMUS PRIME is a trademark of Hasbro and is used with permission. © 2014 Hasbro. All Rights Reserved.